If you’re looking to join our sessions, the session bundles are a great, flexible way for you to join us. These tokens can be used at any of our sessions and have up to a 4-month life time. Our Bronze Membership gives you unlimited access to our Gym on Church Street. Enjoy bespoke training plans, bespoke nutrition plans, constant support and advice. The team are here to help you achieve your goals and give you the tools to change your health and physique. This membership includes our 3 stage introduction to coaching process! No stone left unturned to give you all the tools you need to change your health and physique. £20 Joining Fee. £45 Billed Monthly through the Jones' Fitness App. 3-month initial commitment, 1-month rolling contract thereafter. Enjoy all the same great benefits of the Bronze Membership but enjoy the added extra of unlimited access* to the Jones' Studio. This is a great option for those who want to experience our Virtual Personal Training and all the other great equipment at hand in the studio. *unlimted access when there are not group training sessions running, timetable subject to change. £20 Joining Fee. £60 Billed monthly through the Jones' Fitness App. 3-month initial commitment, 1-month rolling thereafter. Want to add some group training sessions to your monthly training plan. Then this is the plan for you. Enjoy 8 Group Training sessions per month with the Gold Membership, as well as all the perks of the previous plans. £20 Joining Fee. £75 Billed monthly through the Jones' Fitness App. Credits refresh at the end of each billing period and are not carried forward. How about unlimited access to everything that Jones' has to offer. 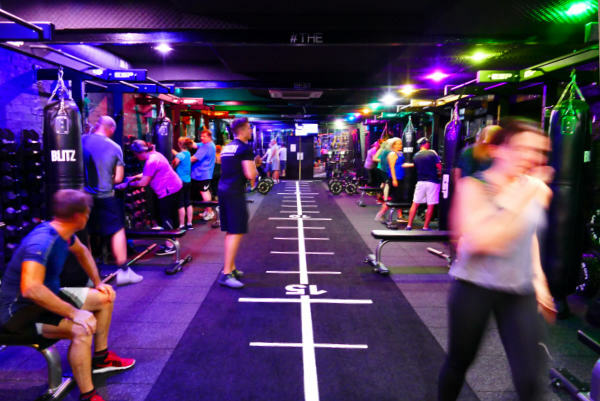 Unlimited Gym, Unlimited Virtual Personal Training*, Access to Studio* and of course unlimited access to all Jones' group training sessions**. Our all new Platinum Membership offers the greatest flexibility and opportunities to change your health and physique.